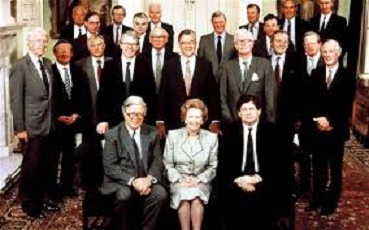 Prime Minister David Cameron is understood to be bringing back the 1980s Conservative cabinet from beyond the grave using a combination of medical science and voodoo according to Downing street insiders. One Tory insider told us “The trouble with today’s conservatives is they discriminate against the poor, disabled and diverse but they don’t overtly point at them and scoff in the same way as they used to. We need to get the old guard back and if that means exhuming some from their graves before breathing life into them using partly the latest technology and partly the black arts then so be it. The news has also sent shock waves through the banking community who this morning received the surprise news that they will now be allowed to start behaving like monumental arseholes again.